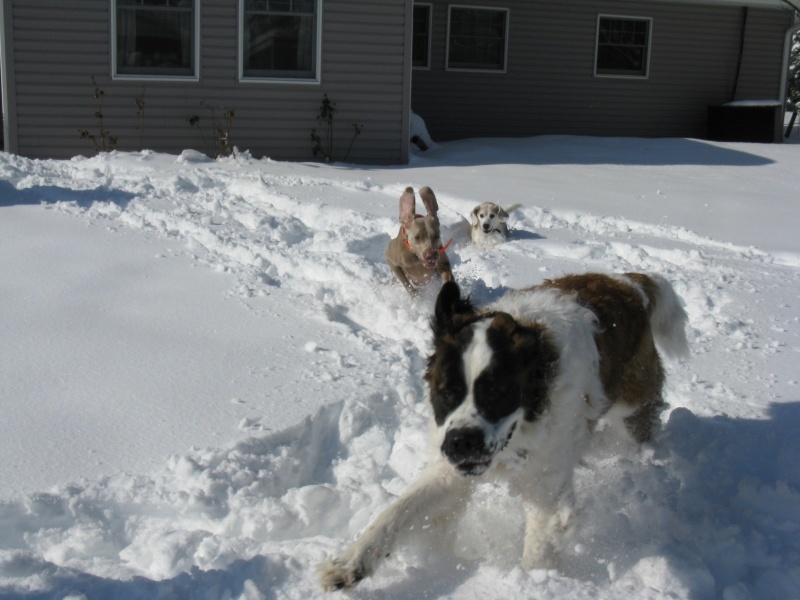 We got a lot of snow last night, and the pups were LOVING it! So I thought you might too! George took Ben out sledding today, but he didn't take the camera! Grr! what a "bendy" first picture!!! the snow looks deep!!! i hope your taking extra care out there with your balance all gone wrong!!!! Mrs front heavy!!!! you cant have long left!!! It was pretty deep, I think nearly 18 inches! 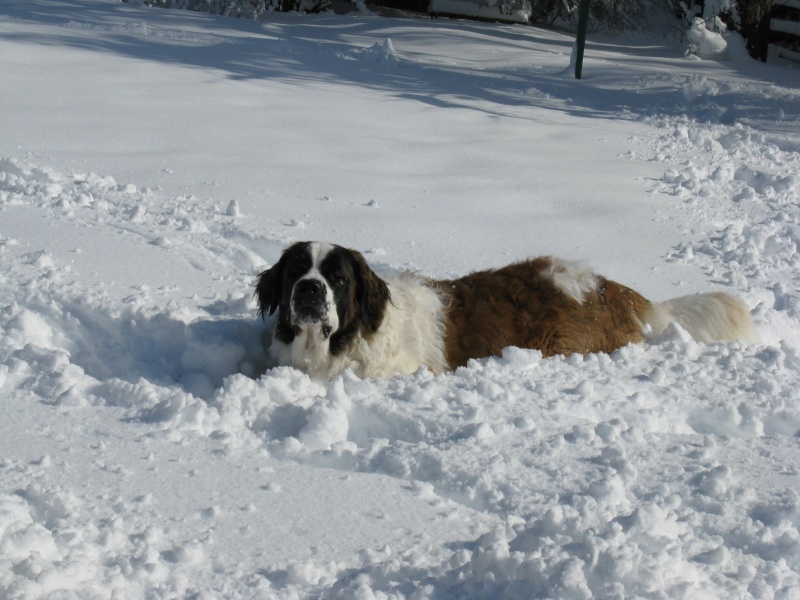 The extent of my snow play was walking into the back yard after George made a path, just to get pictures of the dogs. I have NO desire to go out in the snow! hehe! 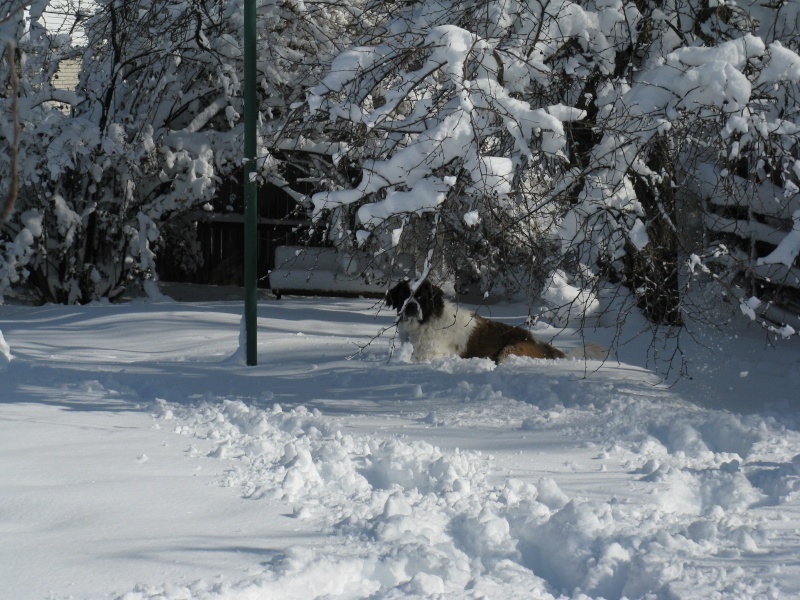 Ben especially enjoyed stretching out on his stomach in the snow, with his front legs straight out in front of him and his hind legs stretched completely behind! great pix... saints and snow is always priceless! I just checked the forecast, we're expecting more snow/wintry storm on Tuesday/Wednesday, possibly a few feet! On top of what we just got, it should make for fun and interesting dog romping! Now I just hope this baby holds out until all these snow storms we've been getting are over! 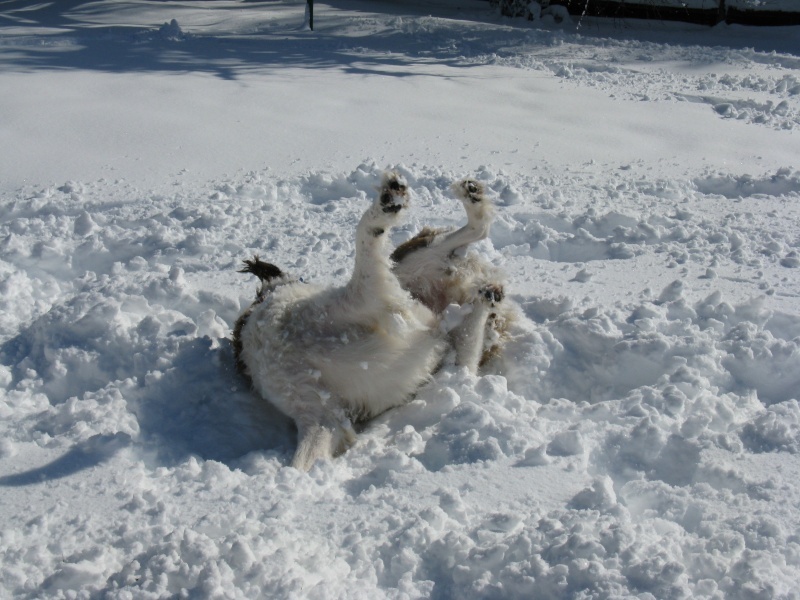 Subject: Re: Fun in the snow!